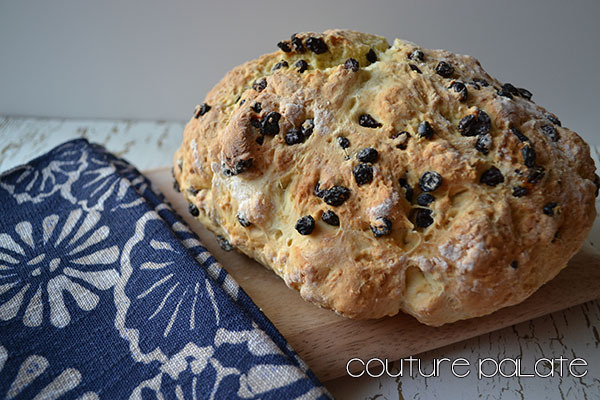 I know traditionally Irish Soda bread is made during St. Patrick’s Day but I enjoy making it year round. The smell of my kitchen when this bread is baking in the oven is completely intoxicating. Grab some room temperature butter and I could make a meal out of this. Sift the flour, salt, sugar and baking soda in a bowl. Create a well in the center and add the buttermilk and orange juice. Mix together well. Add the egg, currants and zest; beat until smooth. The dough should become sticky. On a floured board, knead the dough lightly and shape into a round loaf. Place into a well- greased 9-inch round cake pan. Bake for 40 minutes and serve warm with butter and marmelade.